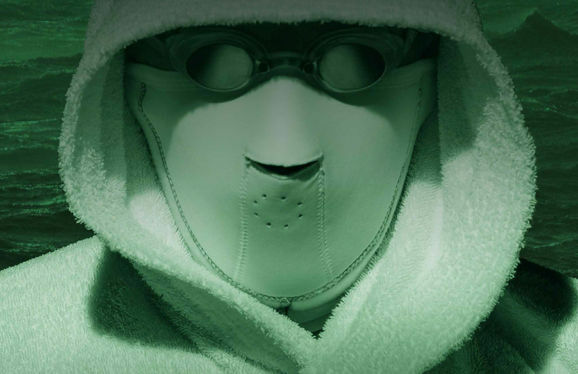 The film follows the brave attempts of two men to be the first Icelander to swim the English Channel, the Mount Everest of swimmers, their failures and eventually the success of one of them. 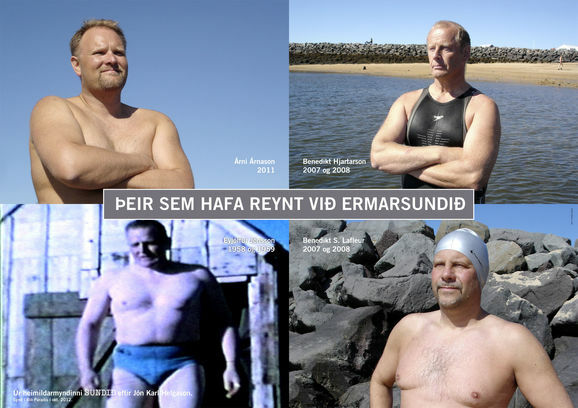 Interwoven with the story of the amazing endurance of these two men, is the history of swimming in Iceland and in particular the long and hard struggle to re-introduce the skill after it had been almost totally lost to this seafaring nation. 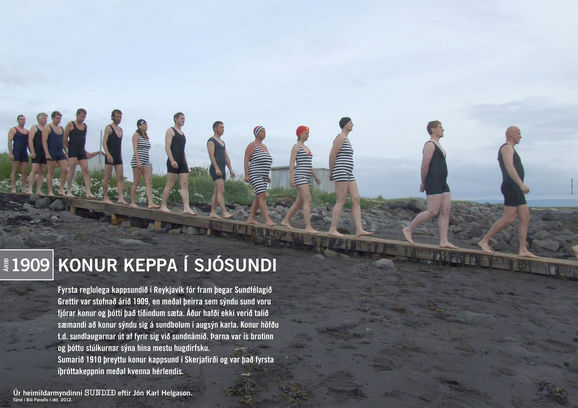 By the 19th century it is reckoned that in the whole of Iceland no more than 6 individuals of a population of 50.000, knew how to swim. With references to the ancient Icelandic sages, we learn through staged scenes how a local hero took on and defeated the Norwegian kin in a bout of the popular Viking sport of sea wrestling and how a mother fled after her husband was viciously killed, swimming to land with her two children. A few dedicated individuals campaigned for the introduction of swimming in the face of stiff opposition from those who maintained that it was nothing less than criminal to teach seamen to swim, since it would only serve to prolong their inevitable death should they end up in the freezing cold waters of the North Atlantic Sea. One incident of many to support the need for everybody to learn swimming was when a boat with four men and a cow capsized a few hundred meters fro land in calm weather. Three of the men drowned while their families watched from the shore. The cow survived. When the skill of swimming was successfully introduced, those who took on personal challenges or set records ins swimming were looked upon as heroes. 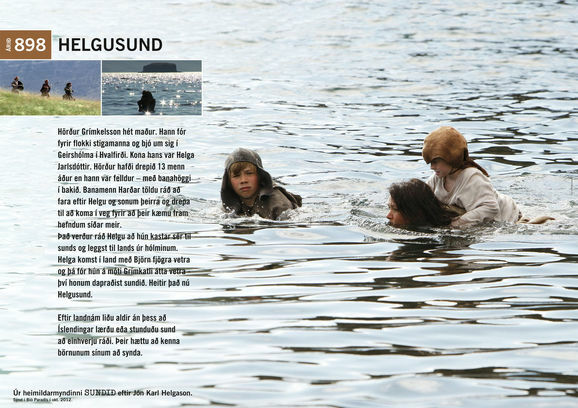 Through staged scenes and archive material the film looks at great feats of human endurance in swimming in Iceland. The young first-made, Gudlaugur Fridthórsson, swam for up to 5 hours through the winter night in 6 degree waters after his ship sank. Fridthórsson used the stars and coastal lighthouses to stay on course, and talked to the seabirds to keep his cool. Even to this day it defies understanding how he could possibly have endured so long in the freezing North Atlantic Ocean. We follow the two Channel swimmers practising and preparing, waiting, having to abandon trying due to weather conditions, and when a last in the water, on the 35 mile swim across, exhausted, freezing and hallucinating in the cold water and the dark. Refusing to give in to the elements until their lives are in danger, or as the captain of boat puts it "they swim till they die". Here is a story that is at once diverse, dramatic, entertaining and exciting.